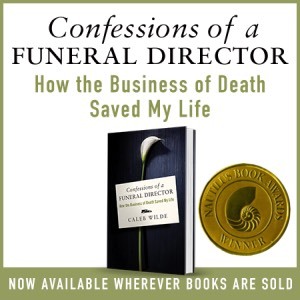 CONFESSIONS OF A FUNERAL DIRECTOR » So … Are You an Organ Donor?!? So … Are You an Organ Donor?!? The sad fact of organ donation is this: If you are an organ donor, and you ever donate your organs, it’s probably because you died suddenly and tragically. And yet, organ donation is the one thing that can provide a ray of hope for those that survive you. It’s a gift that is given to the recipients of your organs, and a gift to those you’ve left behind as they know your death had some, small aspect of redemption. Organ donation redeems your deceased body, it redeems others’ lives and it can even provide some redemption for your survivors. It’s simply one of the most beautiful things to arise out of tragedy. This entry was posted by Caleb Wilde on August 22, 2012 at 1:10 pm, and is filed under Death, Organ Donation. Follow any responses to this post through RSS 2.0.You can leave a response or trackback from your own site.